Silicon Valley based (ATF), Managing Partners of the ([email protected]) partnership today announced that the DEMO Africa event will be heading to Morocco over the next two years. “Over the last six years, the conference has traveled through Eastern, Western, and Southern Africa, and launched leading African technologies while showcasing the continent’s evolving entrepreneurial ecosystems and startups. As codified within our conference charter, we are heading to North Africa for the 2018 and 2019 editions of the annual event, and we are excited to announce Morocco as our host country” remarked Harry Hare, Executive Director of DEMO Africa. As a launchpad for uniquely African technologies, DEMO Africa connects African startups to the global ecosystem, and allows the most innovative companies to launch their technology products to diverse audiences filled with innovation stakeholders. Over the last six editions of DEMO Africa, about 205 African startups have presented their uniquely African technology solutions to much fanfare, and the summit has successfully positioned some of the startups to receive over $50 million (USD) in aggregate funding over the same period. As a precursor to the main event, the DEMO Africa Boomcamp provides African startups with capacity building and training in venture creation, opportunities for connectivity to global innovation grids, access to capital, opportunities for further partnership expansion, and promoting best practices and successes in African-led innovation solutions. “We are quite thrilled to witness the incremental progress around the North African entrepreneurial ecosystem, particularly Morocco, and we are quite grateful for the support of some remarkable local partners to ensure that the next two editions of DEMO Africa do an effective job of globalizing the regional ecosystem” commented Stephen Ozoigbo, Managing Partner of the [email protected] initiative. “Hosting DEMO Africa in Morocco will also give us the opportunity to engage with francophone startups across the continent and bridge the language barriers that previously affected our engagement with a significant number of startups”. After six successful runs, DEMO Africa will continue its world-class reputation for consistently identifying new bankable technology startups. The startups that will launch at DEMO Africa in Morocco over the next two years will go through a rigorous selection process followed by a mentorship program that is tailored towards accelerating their readiness for market expansion and investments. 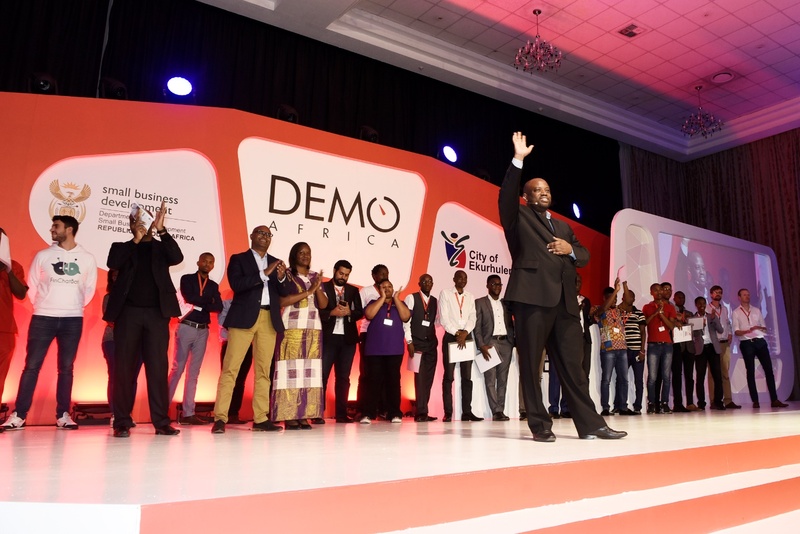 The 2018 edition of DEMO Africa will be held in Morocco this October. For more information on the event and related activities, please visit . You can also follow [email protected] on Twitter @lionsafrica and DEMO AFRICA @demoafrica.